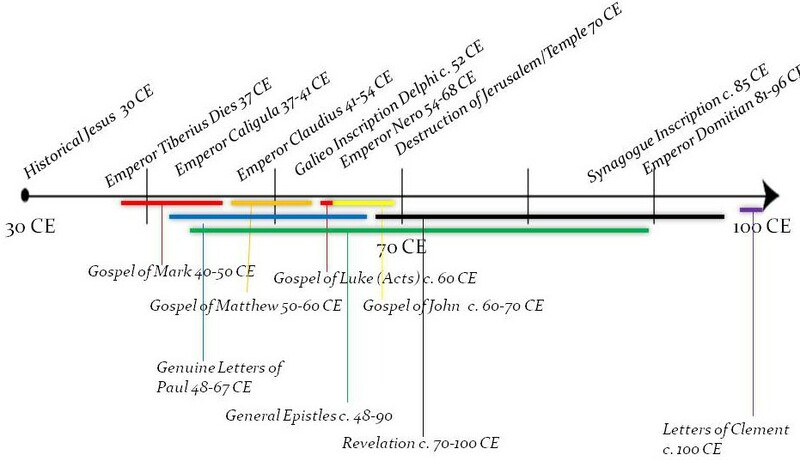 As a starting point for this work, I’ve crafted two timelines of early Christianity: one reflecting the Scholarly “Consensus” (recognizing the difficulty of using that term) and one reflecting an alternative chronology. I also want to point out some helpful online timeline/context resources which I’ve found helpful. These include the following: Chronology of Roman, Jewish, Christian Events (J.B. Phillips); A Timeline of Christianity (A New Christian’s Handbook); Timeline for the History of Judaism (Jewish Virtual Library); and Religion Timelines: Jewish History + Christian History. What type of New Testament/Early Christian chronology do you subscribe to? What other timeline resources would you recommend, either online or in print? 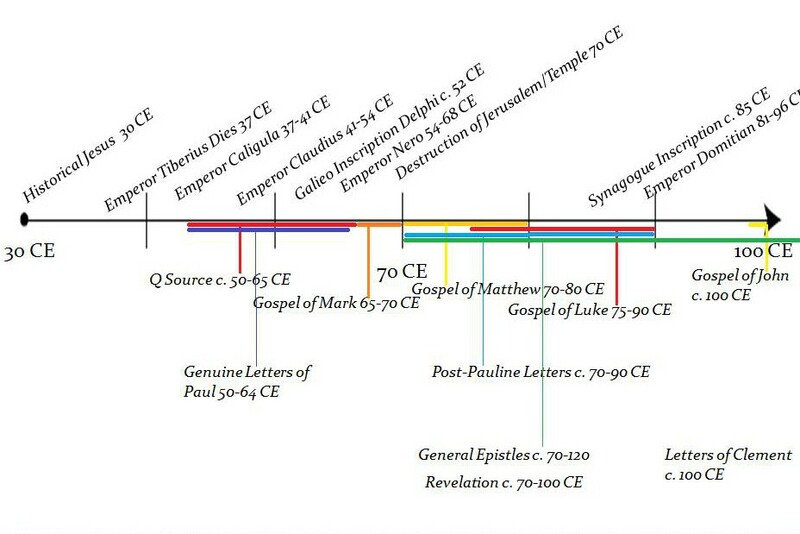 I love this history/ bible timeline. Do you have one for old testament times as well? Unfortunately, I haven’t quite completed research on my OT timeline yet (more books and more viewpoints to shift through). Hopefully I’ll be able to share it before too long.